This Silicon Carbide Rubbing Brick is 6” x 4” x 1” and has a large 20 grit surface for removing glaze drips from kiln washed shelves. The best hand kiln shelf scraper there is. Removes and levels off thick kiln wash. 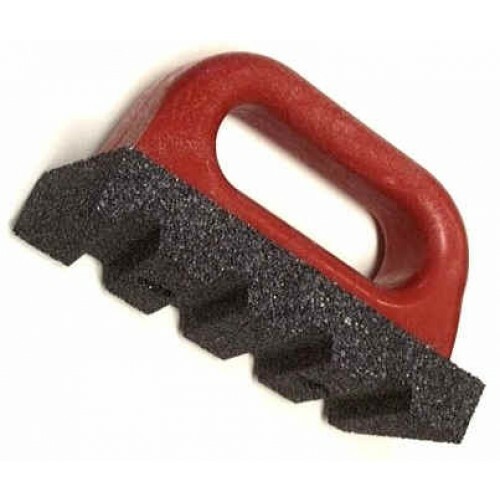 It is also good for dressing down and removing form marks from concrete or other hard surfaces. The brick is attached to a handle for easy use.